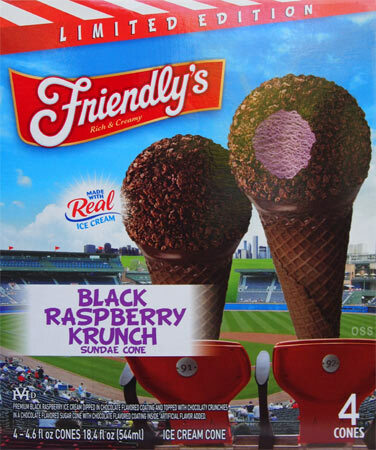 [New for 2015] I do love my ice cream cones, and Friendly's makes my favorite black raspberry ice cream (because it's so sweet), so this should be an easy win. 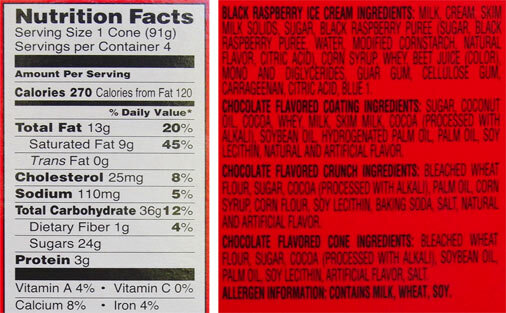 Friendly's branded wrapper removed, it pretty much looks like it's chocolate cousin. Ok, I could mess around here but the truth is that I inhaled this in under two minutes. First off, yes, I like it ofcourse, I didn't expect not to. That said, I don't think it's pops like the forbidden chocolate. The other was just this cumulative chocolate assault that left you in a very happy place. 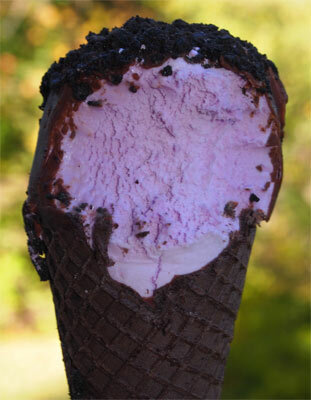 Here, the black raspberry kind of overrides everything. I like the creativity they showed, but I just don't taste the chocolate over the raspberry, or even a 50/50 split. Sure, the chocolate probably adds something to the overall complexity of the flavor, but it's not a blast of flavor combos. To be honest, I think I'd rather have a regular waffle cone here. Sounds dumb doesn't it? It's still a fine treat, it just doesn't sing the way I want it too. Maybe throw in a fudge core instead to be crazy and give the chocolate a fighting chance here. Ok, hope that all makes sense. A fine treat, and I'll always give a thumbs up to their black raspberry treats, but for now, I won't say it's better than the forbidden chocolate version. i JUST had one yesterday and was telling my friend how you guys love Friendly's! this was divine, and definitely had me considering cheating on Drumsticks forever. (sorry Nestle.) i loved the smooth and deep raspberry flavor here, not too overpowering and not disappointingly subtle. 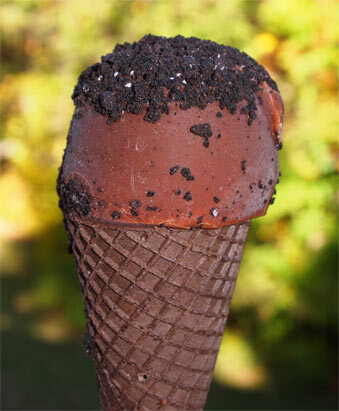 the dark chocolate is a favorite (since i'm always a sucker for it); crisp crunches, thick shell, very enjoyable even if you've taken off the shell before getting to the ice cream. enjoyed it to the very end! With Drumsticks foolish decision to go with frozen dairy dessert, the only reason left to pick them is their flavor options, but friendly's is definitely making inroads there. Hope it continues.